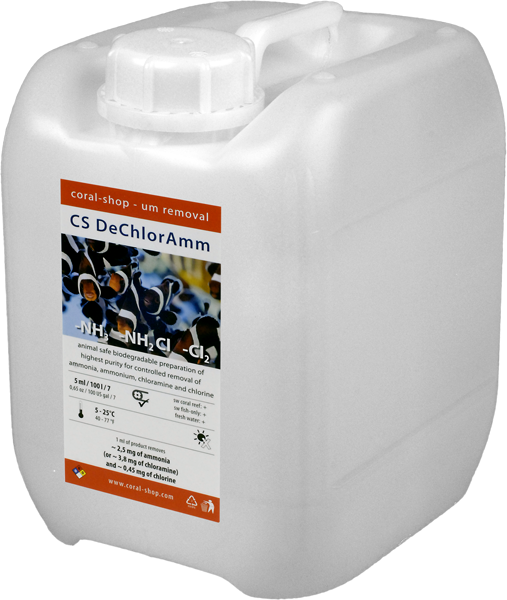 For instant removal of Ammonia, Chlorine and Chloramine. Animal safe biodegradable preparation of highest purity for instant and controlled removal of ammonia, ammonium, chlorine and chloramine; Used in case of seawater pollution by overfeeding and fish kill or when tap water is used for seawater preparation. 10 ml per 100 l of water weekly - maximum dose. Always use appropriate test for accurate dosing! It is advised not to exceed maximum product dose of 10 ml / 100 l daily. Store at dark place at room temperature. May cause irritation to eyes and sensitive skin. S2: Keep out of the reach of children S45: In case of accident or if you feel unwell seek medical advice immediately. 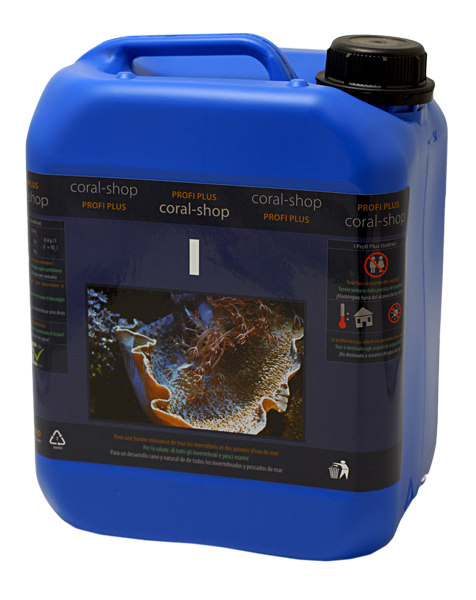 Instantly removes Ammonia, Chloramine and Chlorine from both seawater and tap water. If - from any reason - tap water is used instead of demineralised water for seawater make-up, it is a good idea to take the information about possible use and concentration of Chloramine and/or Chlorine in appropriate water house. Such information is public and product dosage can be set according to actual tap water concentrations of above mentioned substances. However, the product is primarily intended for Ammonia removal from seawater. Ammonia occurrence can be caused there either by overfeeding of by animals death. Ammonia is most dangerous poison from AMMONIA - NITRITE - NITRATE chain, thus the product shall be applied without delay. The product is also suitable for fish imports maintenance - it should be applied immediately after parcels arrive directly into transport sachets where Ammonia concentration is almost always measurable.